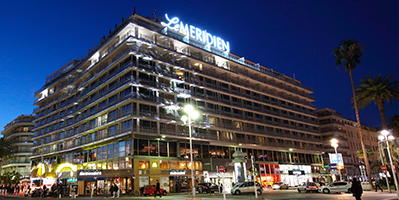 Situated on the Promenade des Anglais, this Nice hotel is the perfect French Riviera holiday retreat. Many rooms offer sweeping views of the Mediterranean, ed and guests enjoy gourmet food and drinks in five venues. The hotel features a heated terrace and swimming pool with gorgeous views, find access to a private beach and the area’s best shopping and attractions. Thursday June 6 – 20.00 till midnight. We are inviting all vascular and endovascular specialists to attend the MEET Congress. The MEET program will benefit to all health-care professionals regardless of their level of expertise: beginners, well-trained and experts. Physicians: Angiologists and Cardio-angiologists, Vascular and Endovascular surgeons, Cardiac and Cardiovascular surgeons, Interventional cardiologists, Interventional radiologists, Conventional cardiologists, Diagnosis radiologists, Neuro-surgeons and Neuro-radiologists. Other actors: Vascular nurses, Vascular technicians, Engineers and Industry professionnals. The official language of the Medical Sessions is English. Session paramédicale francophone le vendredi 7 juin. Each attendee will be able to fill in an evaluation form online after the congress in order to receive an electronic certificate of attendance to print. Registrants who didn’t attend the congress will not be able to receive the document.